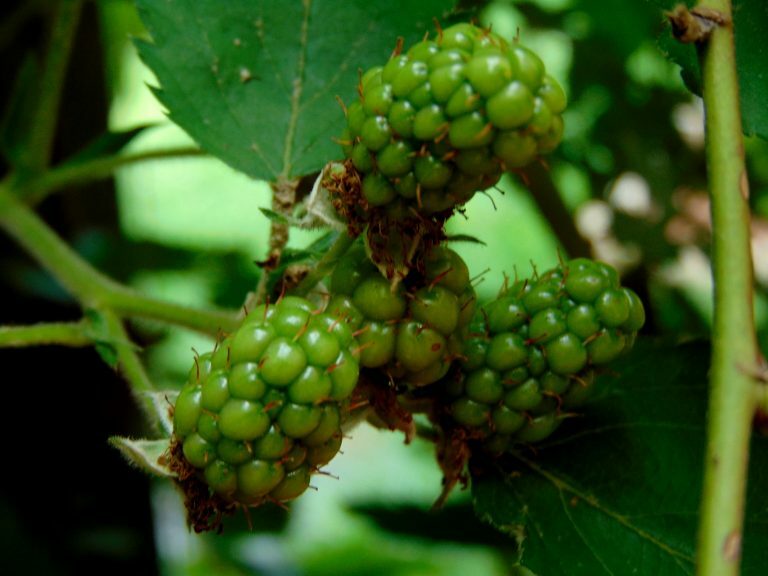 We are growing a number of blackberries varieties in our garden. 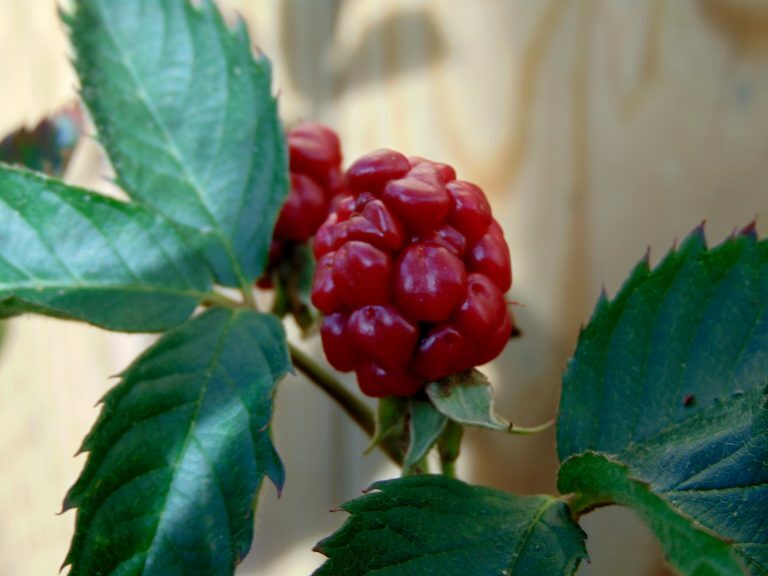 The first variety that we planted was Apache Blackberry, and it was planted in 2017. Four bushes were planted around our shed. We got no blackberries the first year, and literally no growth at all. One year later, today, our blackberry bushes are full of fruits. The sun makes a very big difference. Two of the Apache blackberries get 6+ hours of sun and the other two are under a partial shade environment. The two partial shade bushes produced some fruit, but very tiny, and some were falling. Bushes that are under the shade get attacked more often by rodents, probably because they feel safe from predators. This year, 2018, we got additional blackberry bushes. We got Traveler Blackberries and planted them in different locations around our garden, but close to our six feet tall fence. The idea is to give the bush support with a trellis. Check some of our featured edibles collection.